The Fort Lauderdale area gains another megayacht marina in a matter of days. Seahaven Superyacht Marina opens its clubhouse doors and its docks to owners and crews of yachts up to 250 feet (76 meters). The Dania Cut-Off Canal is home to the new facility. Since no drawbridges are along the route from the Atlantic Ocean, it doesn’t have height restrictions. Draft is 15 feet (about 4.6 meters), too, additionally making Seahaven Superyacht Marina accessible for sailing yachts and displacement motoryachts. The site is also convenient for owners and guests who may travel via the Fort Lauderdale airport, a few minutes away. Furthermore, service-seekers should note that Seahaven Superyacht Marina is a stone’s throw from both Derecktor Shipyards as well as Dania Cut Superyacht Repair. At presstime, Seahaven Superyacht Marina was wrapping up work on its clubhouse. Intended for crew to use, it includes a gym, a games area, a TV lounge, as well as a kitchen. Overall, the marina’s management team wants crew, owners, and guests to feel comfortable, and secure. The facility has managed pedestrian access and, of course, surveillance monitoring. 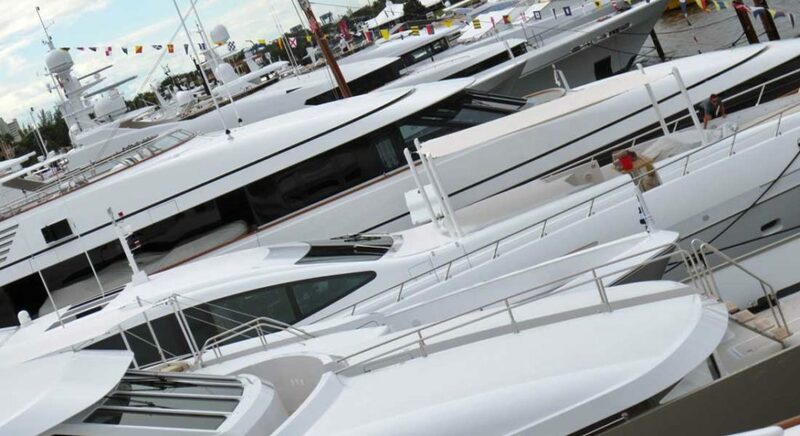 The owner of the marina is well versed in the megayacht marketplace. It’s Seven Kings Holdings, the company behind the Loggerhead Marina brand. One such marina is just up the coast in Palm Beach Gardens. So, you can expect Seahaven Superyacht Marina to offer services like golf cart access at the dock, plus high-speed fuel delivery there, too. Provisioning, transportation assistance, and in-slip pump-out are available as well. Finally, the dockmaster might be a familiar face. She’s Marieke van Peer, who previously worked with Miami Beach Marina and Island Gardens Marina in Miami. Because some of the docking options are side-to, Seahaven Superyacht Marina will accommodate a varying number of yachts at one time. I Believe It Should Be Out There That The Developers ‘Dania Beach Marina Partners, LLC / 7 Kings Holdings LLC Have Failed To Pay The Contractors and Subcontractors On This Project. Family Owned Small Businesses Of South Florida Built The Seahaven Superyacht Marina With Perfection & These Developers Are Stiffing The Contractors While Enriching Themselves With An Fully Operational Business. I agree, everyone should know this! !